"A very competitive field as you would expect for a 100k pot, but I like the chances of Cenotaph. He really was pretty taking when winning by five lengths over 6f here last time." This is a filly we have always liked, and the race has cut up a fair bit, too, with impressive Haydock winner Unforgetable Filly a notable absentee, as well as our progressive Desert Diamond. But you clearly have to respect Laugh Aloud, who looked very good at Epsom last year - she would be the one to fear most, even though we haven't seen her since - and the improvers Awesometank and Clon Coulis. Veracious impressed me when winning at Newmarket last year and was being aimed at the 1,000 Guineas before a slight setback in the spring, but she has run two excellent races in Group 1 company of late, running her best race when third in the Nassau, and that form makes her the one to beat. I thought she ran a hell of a race at Goodwood. I don't think a step back to a mile around here will be any problem, and I do like this filly an awful lot. Only six runners, but a pretty hot Solario. I liked Watan when I rode him to win at Goodwood first time up and I think he was probably meeting a very good prospect in Phoenix Of Spain when second in the Acomb last week. That said, I suspect that he will have to improve upon that. You also have the Chesham winner in here, the second and third, Dunkerron and Confiding, from the Vintage Stakes - that Goodwood form arguably sets the standard coming into the race, though, again, I think they will need to come forward to win this - the progressive Ascot winner Victory Command and Too Darn Hot. I don't think it was a great race that Victory Command won last time, and Too Darn Hot is probably the one to beat. He has the pedigree and the potential after his wide-margin course win on his debut - I rode the third in that race, and I was very impressed by the winner - and I think he is a very good colt. In fact, I think he could be a genuine, top-level horse. He was a bit keen though, and this is obviously more of a test for him. If he settles, he could be hard to beat. My colt has the best form so far, courtesy of his placed efforts at Sandown and Ffos Las, but he is clearly vulnerable to a talented newcomer or improver, and there are three likely-looking debutants in here, even though the race has cut up to just the seven runners. But he is probably the one to beat on what we know so far. Again, it is surprising to see this race dwindle to just four runners, but you can probably make a case for them all, to varying degrees, anyway. 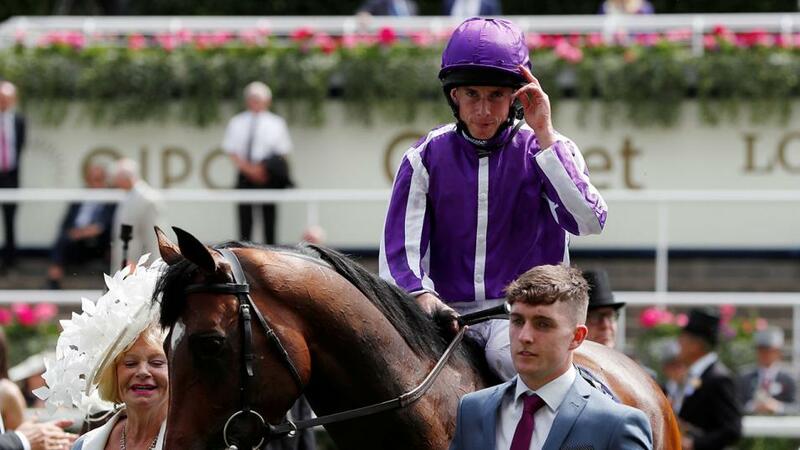 Concierge was pretty badly hampered at York last time and is better than he showed there - he is heavily-penalised, though - Tin Hat is the form horse on his Windsor Castle fifth and gets weight, and Jack's Point has some fair novice form. Magical Wish was below par at York last time and carries a penalty but a reproduction of any of his first three outings will obviously give him a chance in this small field, though Tin Hat is the one to beat at the weights. A very competitive field as you would expect for a 100k pot, but I like the chances of Cenotaph. He really was pretty taking when winning by five lengths over 6f here last time. I know he has gone up 12lb and this is a much deeper handicap, but I think the potential and talent is there for him to be very competitive here, he loves the surface, and the extra furlong wouldn't bother me. A draw in 11 does a bit, but we can't change that. I rode him when he finished third in a hot Sandown novice on his debut and he looks to have won in decent style at Thirsk last time. An opening mark of 82 looks fair enough, I guess, and I think 6f is his trip for the time being. She has come forward nicely this season and we certainly didn't get the run of the race when third at Salisbury last time. She is from a great family and I think the handicapper has been pretty kind by dropping her 3lb for that run last time. Hopefully, the step back down to 1m2f will be okay, too; she won her novice well enough over this trip.